BUFFALO, N.Y. -- New Jersey Gov. 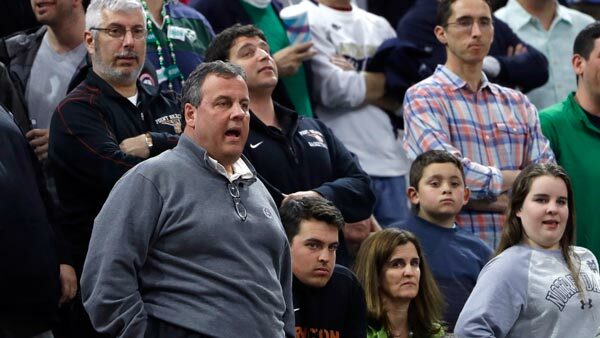 Chris Christie attended Princeton University's NCAA tournament game, but wasn't there to support his state's Ivy League university. Christie sat a few rows behind Notre Dame's bench Thursday in Buffalo as the Fighting Irish beat Princeton, 60-58. The Republican has been friends with Notre Dame coach Mike Brey since he worked at the University of Delaware, from where Christie graduated. Christie's daughter Sarah is a student manager on the team. Christie's son Andrew graduated from Princeton last year and played for its baseball team.